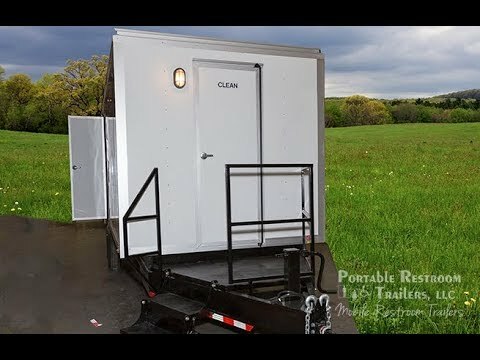 4 Station Environmental Decon | Portable Shower Trailer | Portable Restroom Trailers, LLC. Portable Restroom Trailers has teamed up with the industry’s leading manufacturer of emergency containment equipment to bring our customers the best in safety, hygiene, and comfort. The Environmental Decontamination Shower Trailer is our most popular decon trailer. Available in a standard two shower or four shower configuration, these units come equipped with water heaters, lead and asbestos filtration equipment, negative air filtration, and tons of other great features. They are the perfect fit for job sites such as lead abatement, chemical companies, safety companies, or other industrial applications. Call us today for more information at 1-877-600-8645. Download a 1 page PDF Specification Sheet for the 4 Station Environmental Decon Shower Trailer from Portable Restroom Trailers, LLC.